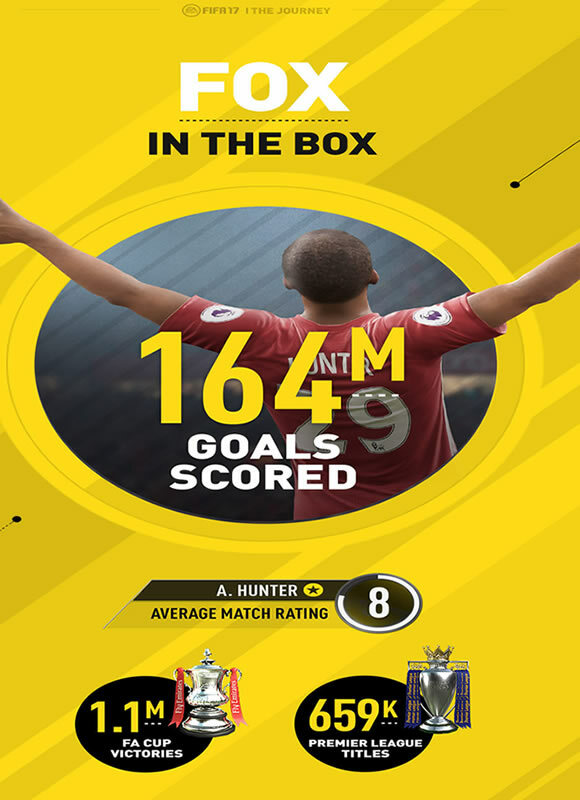 Just over one month ago, Alex Hunter burst onto the scene as the Premier League’s next rising star in the brand new mode for EA SPORTS? 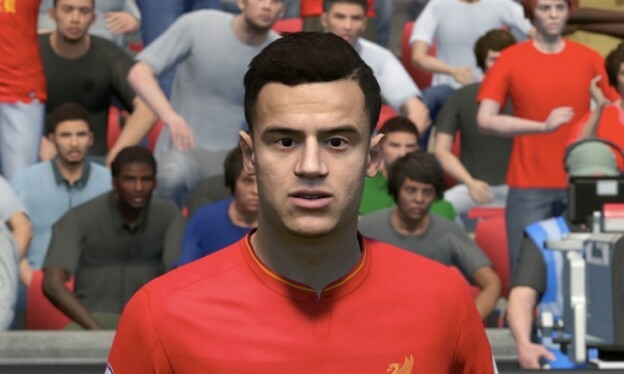 FIFA 17. An upcoming title update for Xbox One, PS4 and PC, will bring language support to The Journey for an additional five languages. Currently only available in English, soon you will be able to play in German, French, Spanish, Mexican Spanish and Italian, all complete with full audio localisation and subtitle support. 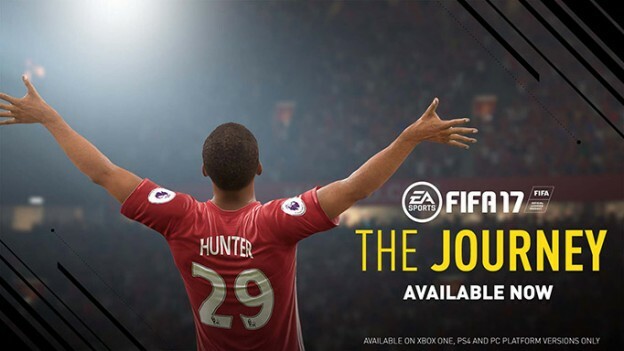 So that’s fantastic news for players that would rather experience The Journey in their native language and could possibly, possibly be the first hint that Alex Hunter (or whoever the star of whatever The Journey becomes in FIFA 18) might be able to play outside the Premier League next year. Who knows. The update is marked as being available “this holiday season” which is obviously pretty vague, but it’s good to see EA adding further support for other languages and opening the mode up to a wealth of people, that are unable to speak English, so that they can enjoy it too. The announcement also comes with some stats from the first month of The Journey. 124M matches played since launch, that’s 4.2M per day, with a total of 164M goals. 18.4% of players chose to place Hunter at Manchester United, with Liverpool second at 11.3%, Leicester third with 11.%, then Arsenal, 9.7% and in fifth, West Ham with 7.9%. Newcastle has been the most common loan destination, the average match rating achieved is 8, with Hunter claiming 1.1M FA Cup wins and sealing up the Premier League title 659,000 times. That’s only slightly less than Sir Alex Ferguson. 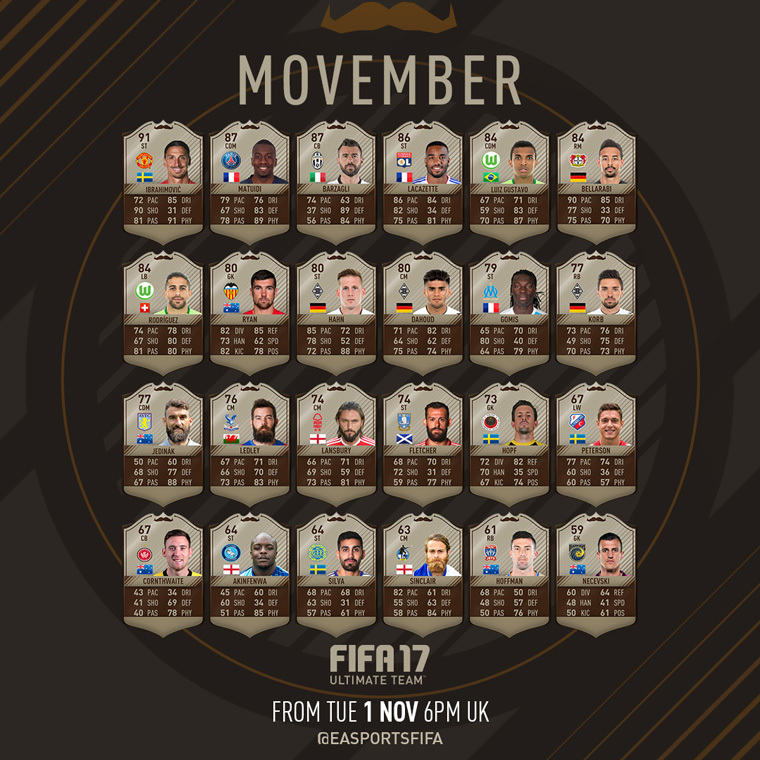 EA SPORTS have once again partnered with the Movember foundation to help raise awareness for men’s health throughout the entire month of November! 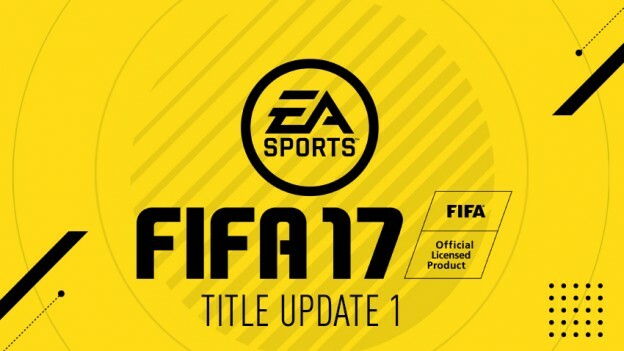 During the FIFA 17 Movember Event, it offers multiple pack offers on the FUT store, themed cards and kits, new squad building challenges and a few other surprises. Special Movember themed Squad Building Challenges will feature throughout the month with awesome prizes, like the Movember kit. 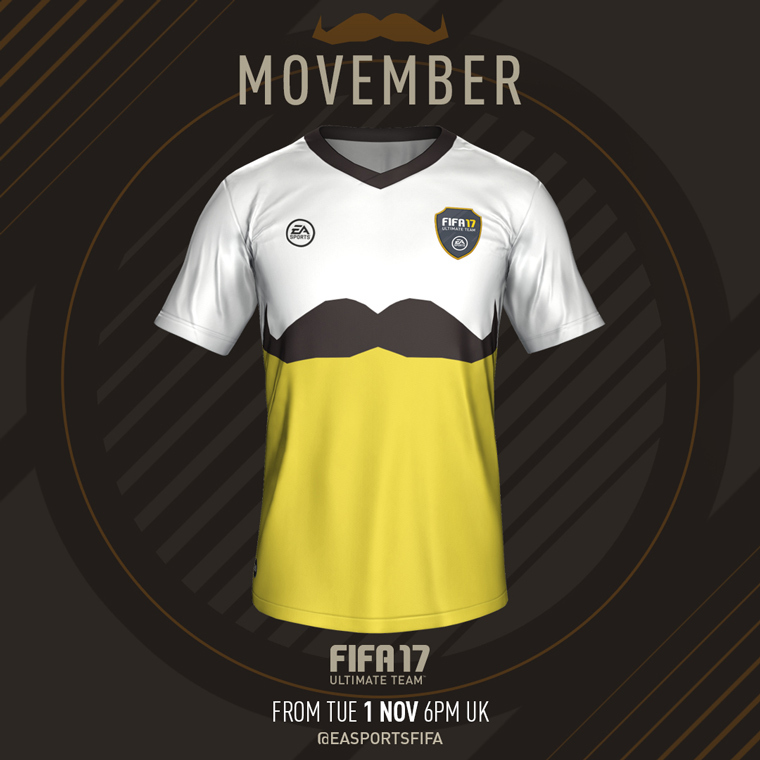 Designed by FIFA community designer Emilio Sansollini, the Movember kit can be claimed by completing the Movember SBC. 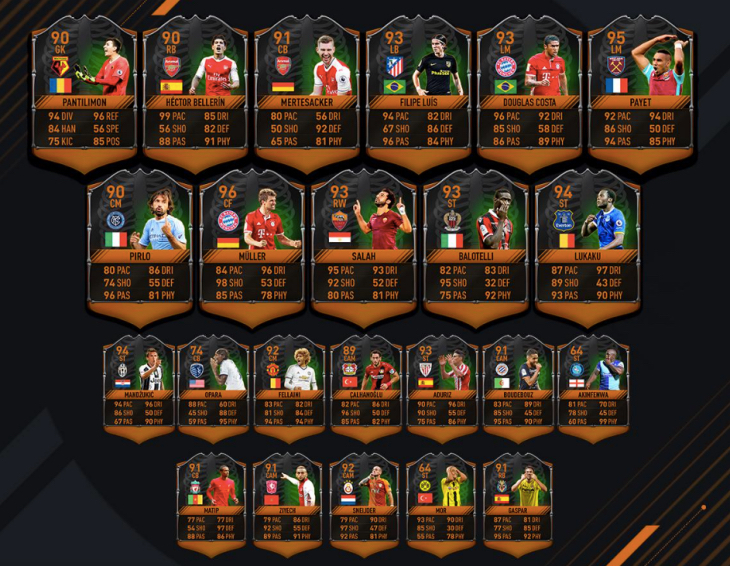 The FIFA Community is also getting involved! 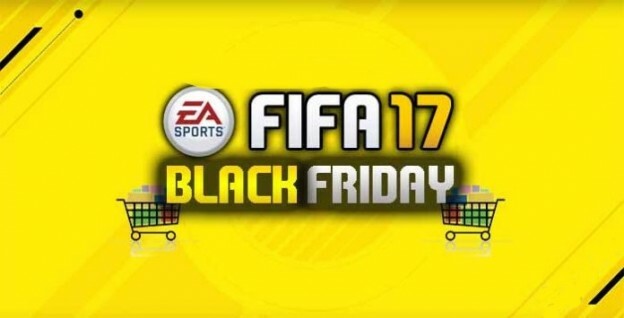 And we’re sure that you’ll see a bunch of FIFA 17 pack offers throughout the November. We’ll update once it confirmed. 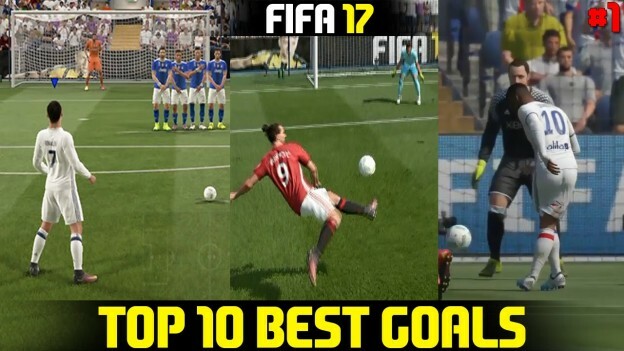 In this article, let’s check the top 10 best goals in FIFA 17 video (the video will be shared at the bottom of article). Bayern have a corner in the seventh minute, which Douglas Costa plays short towards the near post, receiving it straight back from Lewandowski. Still way out near the corner flag, Costa tees the ball up for himself with one foot and volleys it with the other, somehow, into the far corner past Juve’s diving keeper. The goal is almost as majestic as the celebration, which sees Costa, er, lie awkwardly and dead still on the floor with a look of terror in his eyes. It’s goal number eight from the same compilation, at 1.18. Man City against Juventus. Toure plays a deft one-two before stealing a shot from edge of box, which deflects off a defender and loops straight upwards. The keeper runs out and punches away towards the centre circle. Sergio Agüero has the skills to pay the bills. Even the most extortionate ones. If he received, say, a gas bill in the billions, he’d be able to settle it in seconds with a silky dribble or cheeky nutmeg. Those skills are demonstrated here in all their glory as Man City play Juventus. One thing you discover trawling the web for the best strikes is that a lot of goals that are titled “wonder goal!” turn out to be just “goal”. But not this one from Gareth Bale, a hidden gem only watched a paltry 14 times at time of writing – a crime. Playing in an Ultimate Team match, the ball is crossed into the edge of the box, where Neymar jumps to meet it, overhead kicking with such force that the ball seems to be in the back of the net around the same time he’s landing on his backside. He celebrates by doing that thing where you walk in a circle while lying on the floor, which really is the icing on a spectacular cake. Man City’s blockbuster summer signing, German winger Leroy Sane, seems to move at a speed 1.5 times faster than anyone else on the pitch, as he spins a defender over on the far right, before cutting back in towards the edge of the box and hitting a sublime left-footed curler towards the goal. It wouldn’t be a best goals list without one from the shy and retiring genius, Cristiano Ronaldo. The best free kick in this free kick compilation belongs to Real Madrid’s number 7 and can be found at 1:56. Standing as straight and stiff as a Subbuteo player, he composes himself in front of the Man Utd three-man wall. With just a three-step run up, from 30 yards out, he executes his trademark off-the-laces punt, sending the ball up and over the wall then sharply back down past the keeper, who seems to dive a mile backwards. This goal at 0:26 is best enjoyed in the replay from 0:54. Against fierce rivals Liverpool, Everton’s Seamus Coleman passes to fellow Irishman Darron Gibson, only for the midfielder to lash it with the outside of his left foot, causing the ball to bend away from the keeper in a very pleasing manner. He then runs with his arms outstretched, towards delighted manager Ronald Koeman, in the longest build up to a hug ever. This goal is presented from three angles, but it’s perhaps the one starting at 36 seconds that displays it best. This is the type of goal you’d score more of if you didn’t panic and accidentally press square, causing the player to gently lob the ball backwards the length of the pitch, eventually bouncing sadly into the crowd. Man Utd’s veteran number 10, Wayne Rooney, feeds a delightful pass through Chelsea’s entire back four, perfectly weighted to ease into the stride of FIFA 17’s own Alex Hunter, a rookie star in the making that’s yours to mould and guide through a career. With his first touch, Mr Hunter sublimely chips it over the keeper. Here is a video uploaded by Zan Omg. FIFA Mobile now is released by EA, allowing avid football fans to play FIFA on the go. This time, there are updates in FIFA Mobile. Here we’ll let you know the details of the updated FIFA Mobile. FIFA Mobile contains 30 leagues, with 650 clubs and over 16,000 footballers. The download size is less than 100 MB. This app is available on IOS, Android, and Windows Phone. There are three new features, all exclusive to the mobile version. Attack Mode: a new turn-based, asynchronous multiplayer mode which is all about, well, attacking. You’ll be given a bunch of scenarios in which to score from, and ultimately out-score the opponent. The more you score, the more you get in-game “fans” which lets you climb divisions. Leagues: allowing you to create or join a league with up to 32 players. 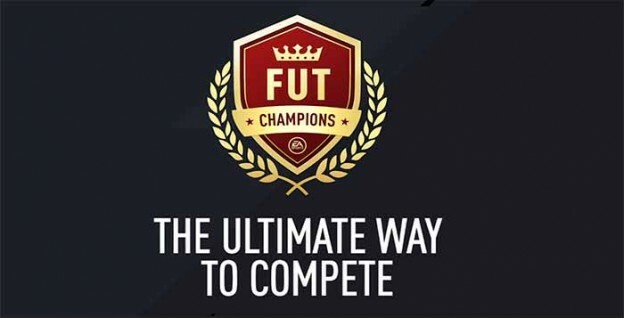 You will be able to complete “cooperative league achievements, compete for bragging rights in inter- league championships, and challenge other Leagues in FIFA Mobile tournaments”. Plans: this feature allows you to shed the items you don’t want for in-game rewards. It’s intended to simplify the crafting of extensive squads. 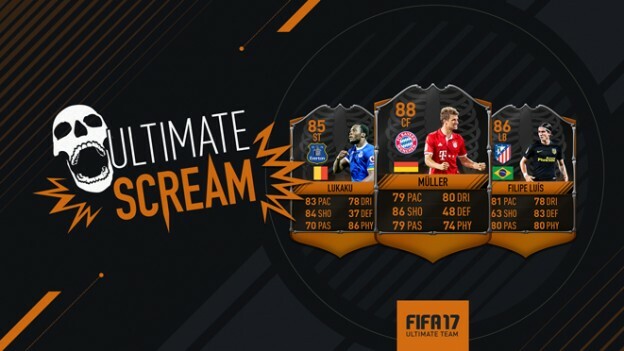 Ultimate Team mode is getting an overhaul of sorts, too. 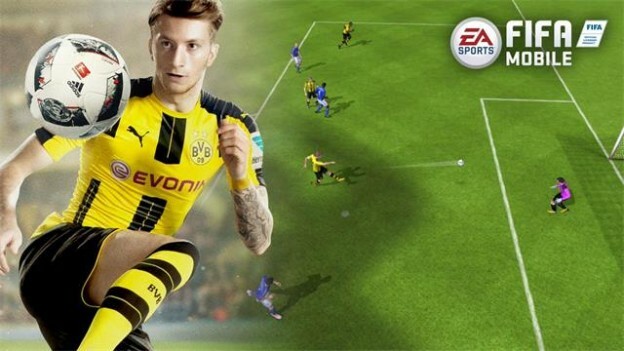 EA Sports is dropping contracts, training items and other consumables in favour of simple squad building. You can have a total of 27 players in multiple formations and tactics, and switch between those as you like. The game will be continuously updated with new content that reflects events happening in the real world of football, EA Sports said. By the way, you can download FIFA Mobile for free on Apple Store, Google Play and Windows Store.